When is a Written Document 'Prior Art' for an Invention? Anyone who deals with patents should be familiar with the concept of prior art. ‘Prior art’ is critical to patenting and can prevent your invention from qualifying for a patent, even if it’s a great invention. Prior art generally is a prior publication such as a patent, patent publication, treatise, advertisement, article on the web, textbook, or other published writing that relates to your invention. If the item of prior art teaches all of the elements of a claim, then the claim is not ‘novel’ and is hence not patentable. If two or move items of prior art together teach all of the elements of a claim, then the claim may be ‘obvious’ and not patentable. But not all writings are prior art. How about the private notes in your file cabinet that have never been seen by anyone? Are those notes prior art? To be a ‘publication,’ and hence prior art, the document must be either (a) distributed to the public, or (b) available to the public. In Acceleration Bay v Activision Blizzard Inc., the Federal Circuit Court considered whether a technical report prepared by a university researcher was prior art to a later patent application. The report was uploaded to a university website and was indexed by author (who was not well known) with only limited additional indexing. The technical report had not been distributed, so the question was whether the technical report was ‘available to the public.’ The Federal Circuit Court concluded that whether a document is available to the public is a question of fact. The court found that there was no adequate evidence that a person could have found the technical report on the university website and concluded that the technical report was not ‘available to the public’ and hence was not prior art. To answer our question above, the unpublished notes in your file cabinet are neither distributed to the public nor available to the public. Those notes are not prior art for anyone’s invention. How about an article about your invention that you post on your public Facebook page? Alternatively, how about your earlier patent application published by the USPTO? Is the article or your earlier published patent application prior art for your subsequent patent application? This gets a little dense, but please bear with us. For these two examples, the article and patent application are both ‘distributed to the public’ and ‘publicly available.’ Both the article and the published patent application are ‘prior art’ if they were published prior to the ‘critical date.’ From the patent statute, since both the article and the published patent application are based on information from you, the ‘critical date’ is one year prior to the date that you file your subsequent patent application. If you published the Facebook article or if the USPTO published the earlier patent application more than one year prior to the initial filing date for your later patent application, then either the article or the published patent application is prior art for your later application. Conversely, if you published the Facebook article or the USPTO published your earlier application less than one year prior to the filing date of your later patent application, then neither the Facebook article nor the published patent application is prior art for your later application. The above just scratches the surface of prior art and there are lots of other situations that can occur. 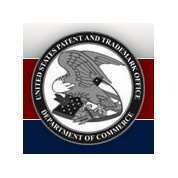 Do you have a question about a patent application or about prior art? Give us a call. We’re happy to help.